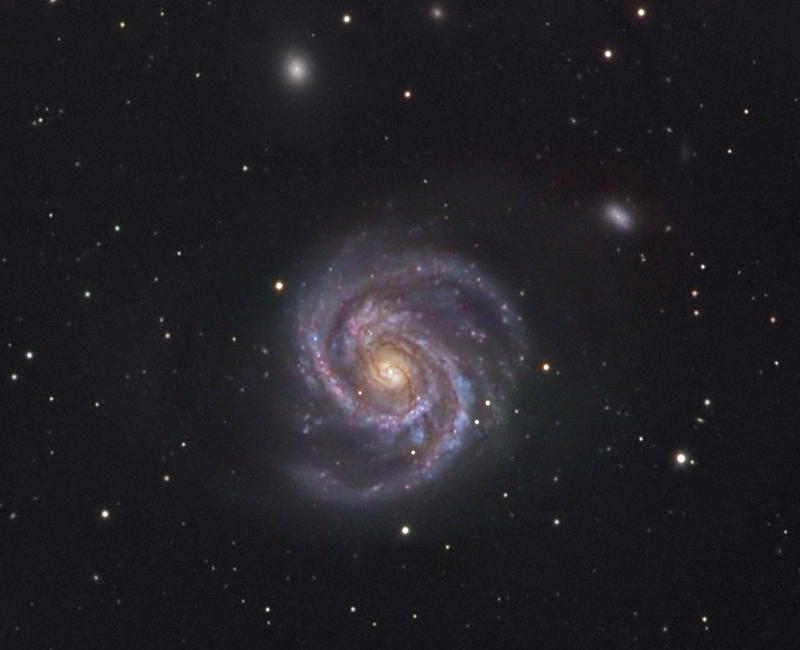 M100, aka NGC 4321, is a galaxy in Coma Berenices, and about 55 million light years away. It is classified as a grand design spiral, and one of the brightest in the Virgo galaxy cluster. All data was acquired in February 2004 at MYHY Observatory in the Philadelphia suburbs using a 10″ OGS RC, SBIG ST10XME, and Paramount ME. Data included 140 minutes unbinned Luminance, and 40 minutes/channel RGB (binned 2×2). Processing was in CCDsoft and Adobe PS.